We drove to Grand Isle, LA to visit Pam Pyle Polkey. Pam is a missionary with the Southern Baptist Church and she has been serving for 23 years in Grand Isle, LA. We hadn't informed her that we were coming and yet she was very gracious to take time from her day to visit with us and give us a tour of the church and the town. Since she has lived there for 23 years and her job is to meet the local people, she knows a lot about the town and the people who liver there. Most of the homes (certainly the newer ones) are built on stilts in order to survive the inevitable storm surge. 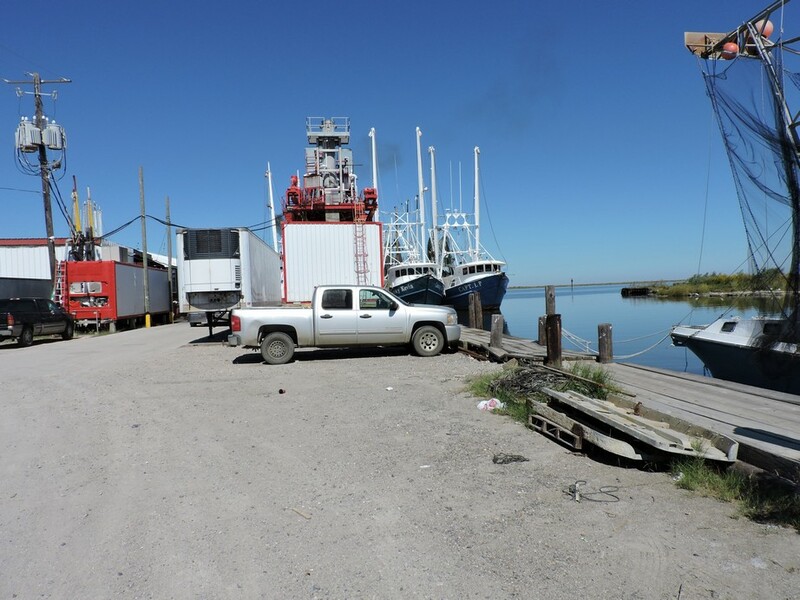 Pam's husband Ricky, is a shrimp fisherman so Pam is well versed about the shrimp industry. She told us that this processing plant in Grand Isle is the third largest in the world, beat only be two slightly larger operations in China. 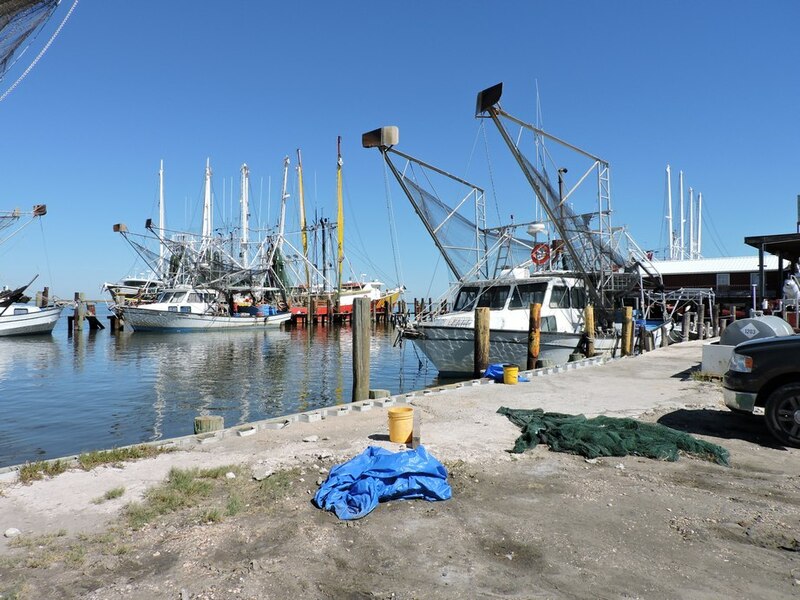 Shrimp boats waiting to unload. There was a large number as they were anticipating a drop in the prices. Cemetery. 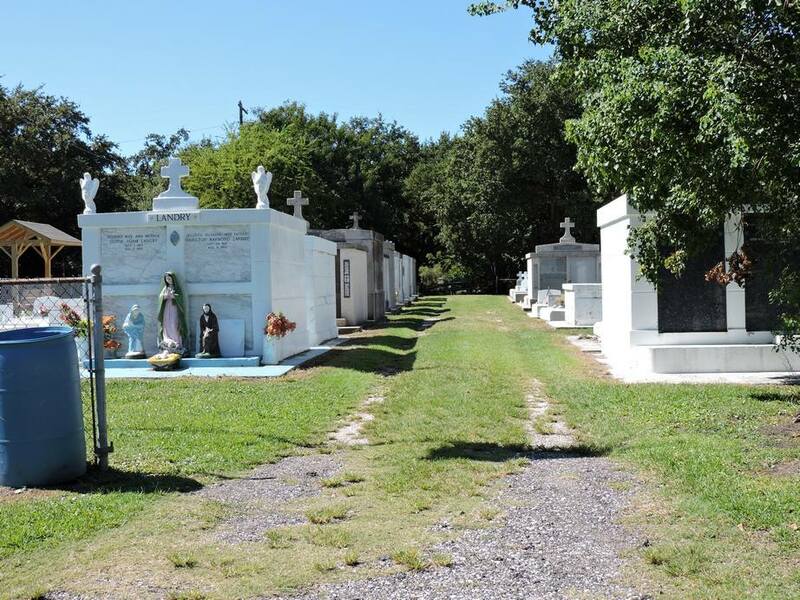 All graves have to be in vaults above ground so that they don't float out of the ground when the ground is covered with water. We had lunch with Pam and then headed toward Houston. 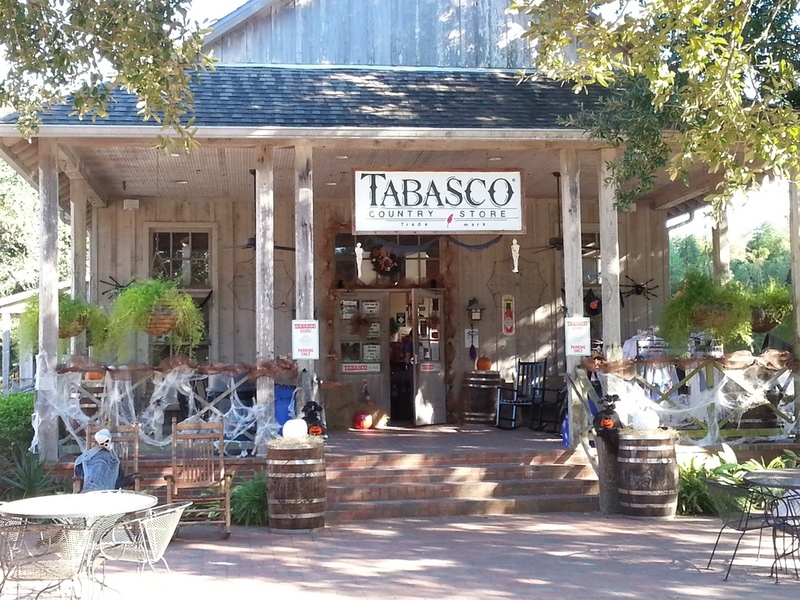 Brad had recommended to us, the Tobasco plant and store on Avery Island. So we made a stop there. We arrived at 3:45 and the last tour was at 4PM. We walked into the visitor's center at 4:45. There was a girl about 25 years old, sweeping up the floor. She said something to us but I couldn't understand what she was saying. Asked her to repeat and I got a something about a tour. I said, "So we missed the last tour?" and she replied, "No," and something else I couldn't understand. After going back and forth for a minute or so, I finally understood that she would give us the tour at 4PM. I thought, this is going to be great. I'm not going to understand a word of what she is saying. At about 3:55, we were still the only folks in the place, so the girl said something about the tour, and I understood that we were ready to start. She turned and faced us, stood up straight and said loudly and clearly as can be, "My name is Becky and I'll be giving you your tour." Her entire presentation was as clear and loud as you could ask for. It was as if someone had flipped a switch. It was an amazing transformation.